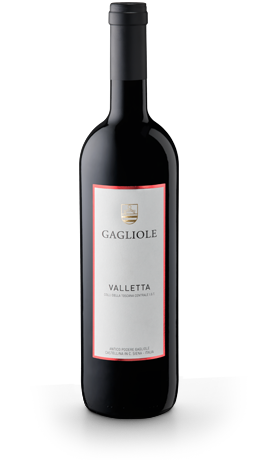 This red is made of Merlot and Sangiovese. The wine is an intense ruby red in colour and is characterized by a complex and intriguing range of aromas: ripe black fruit, liquorice, spices and tobacco leaf. On the palate it is silky and enveloping with a fine density and persistence. The finish shows notes of ripe black fruit, liquorice, coffee, and dark chocolate. It should be served at a temperature of 18°C.